Booster Club | Home of the Bulldogs! What is the Booster Club? We are a volunteer organization made up of parents, coaches and school staff. What do we do? We raise funds by operating the concession stand at school sporting events. How are the funds used? We contribute money to each sport through individual coach requests. We award four $1000 Scholarships to graduating seniors each year! 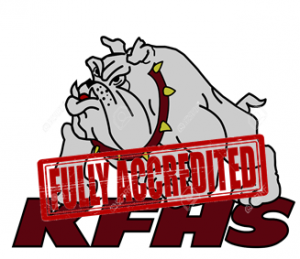 In the years since the King’s Fork High Booster Club has been in existence, we have returned more than $20,000 to athletes, teams, and other school organizations. We host three end-of-season sports banquets for athletes: fall, winter and spring. Please visit our website at KFHSBoosterClub.com and contact KFHSBoosterClub@yahoo.com to join us. Click Here for an application for the Booster Club Scholarship. Scholarship deadline for the 2017-18 school year is May 18, 2018.